EXPERIENCE A POWERFUL AND IMMERSIVE AUDIO PERFORMANCE - Get ready to experience a powerful and immersive audio performance that will rock you off your seat, with BlasterX Immersion Technology. Exclusively tuned for each other, the iRoar and iRoar Rock comes together to form a sound system that delivers explosive home theatre thrills and deep musical bass for your listening pleasure. 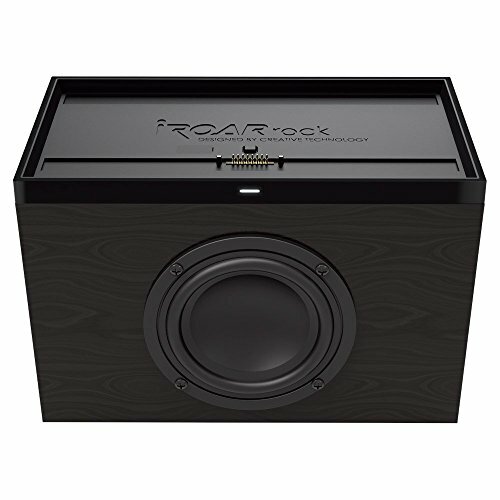 DOCKING EXPANSION PORT - Part of the iRoar Ecosystem, the iRoar Rock is the 1st of many accessories that takes advantage of the countless possibilities of the Docking Expansion port to create a compact but yet powerful subwoofer that complements the iRoar's massive audio prowess. CONVENIENT FASTCHARGE - With the aid of an infinite power source together with the iRoar Docking Expansion Port, you can now enjoy the convenience of fastcharge on the iRoar Rock, juicing up the iRoar's massive battery before going off for your next engagement. This device is compatible with Creative iRoar (sold separately) only.